This photo is taken a few minutes after leaving Marmara beach walking towards Loutro (located on the far side of the peninsula in the background). 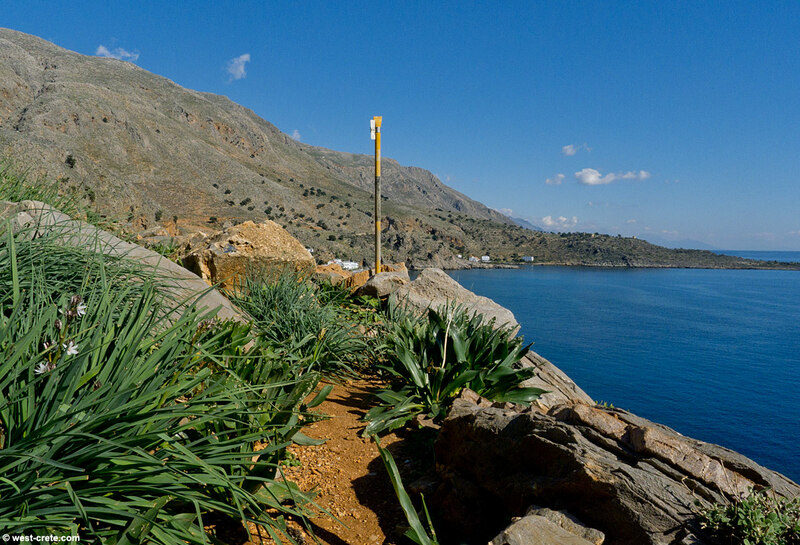 It's a path well-known to many people but they may not have seen it when it is almost overgrown (mainly with sea squills and asphodels). Soon it will all dry out and in the summer it will be almost only rocks and stones.